Area is the daughter of a genius French inventor, and it was from him that she received her peculiar name. 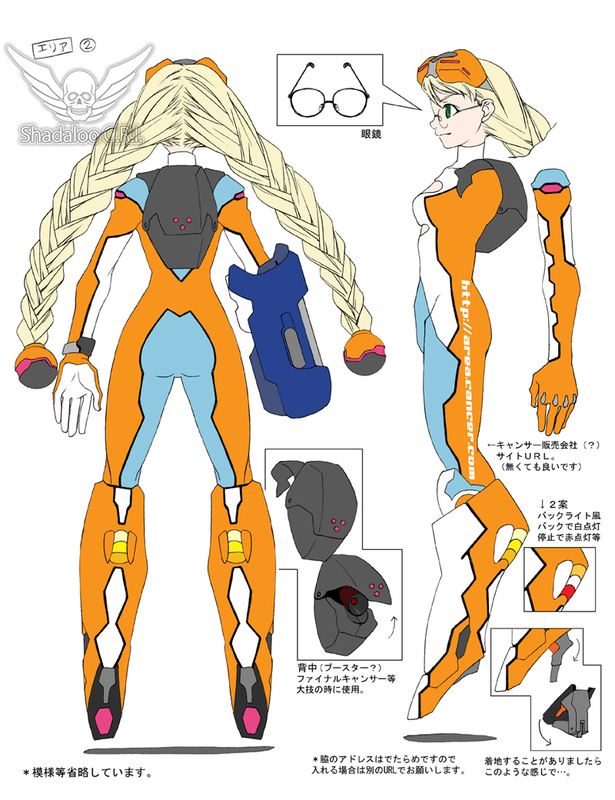 Unhappy with her daughter's addiction to martial arts combat, her father figures if he cannot dissuade her from entering tournaments, the least he can do is equip her with the latest in technological design to give her an edge. Her father assigned her to field test his latest invention, a new weapons system which included a bionic arm and rocket skates. As a fighter, Area doesn't detest the enhancements, and in fact embraces them, considering those who fight without technology to be primitive brutes. Not content to simply accept the inventions her father makes for her, she constantly tweaks and improves upon them between fights to her liking. 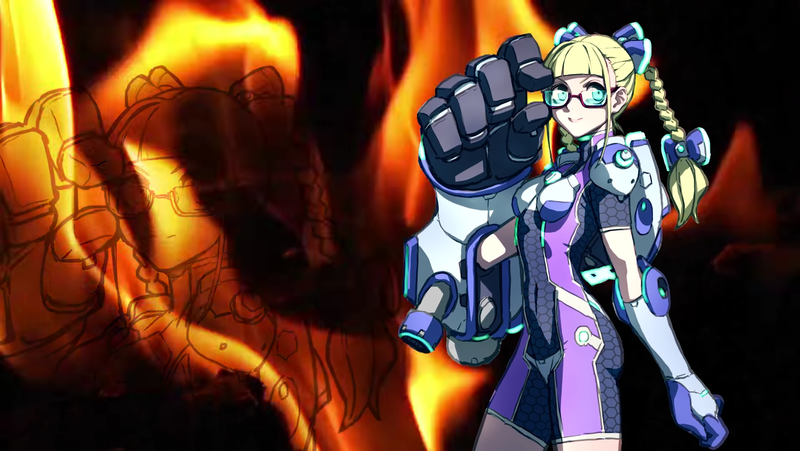 Street Fighter EX2 dev-team member #1: "How do we put a 'nerdy girl' into the series but make her a believable fighter in some interesting way." SFEX2 dev-team member #2: "I got it! 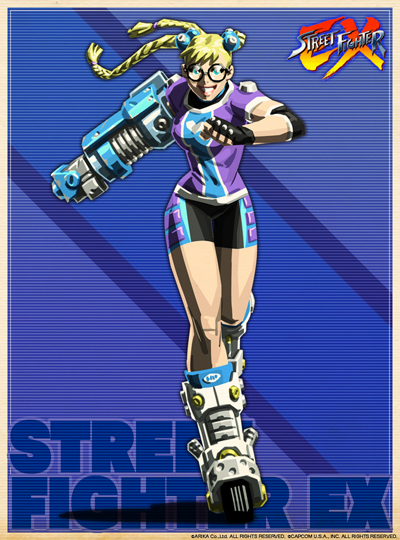 Give her a robotic arm... throw in some rocket skates for good measure." Hey, can't blame them for trying to be original in 1998. 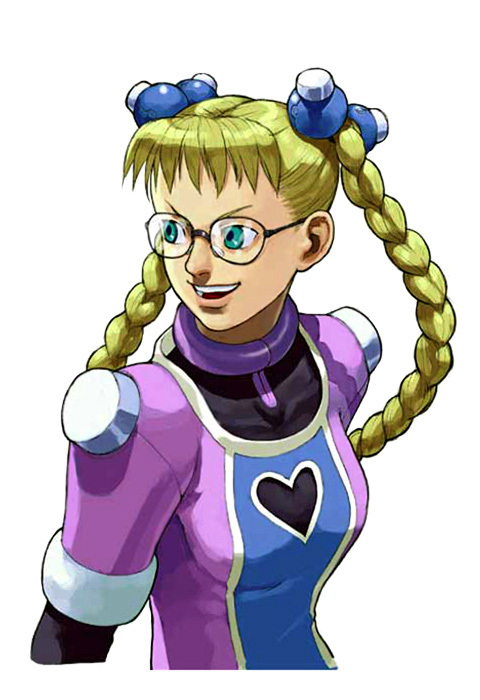 Area definitely doesn't look like a character you'd expect from Street Fighter, but that's pretty much the direction they were going with the EX series. Area looks like the nerdy computer girl that I always cheated off of on my science tests. lol. 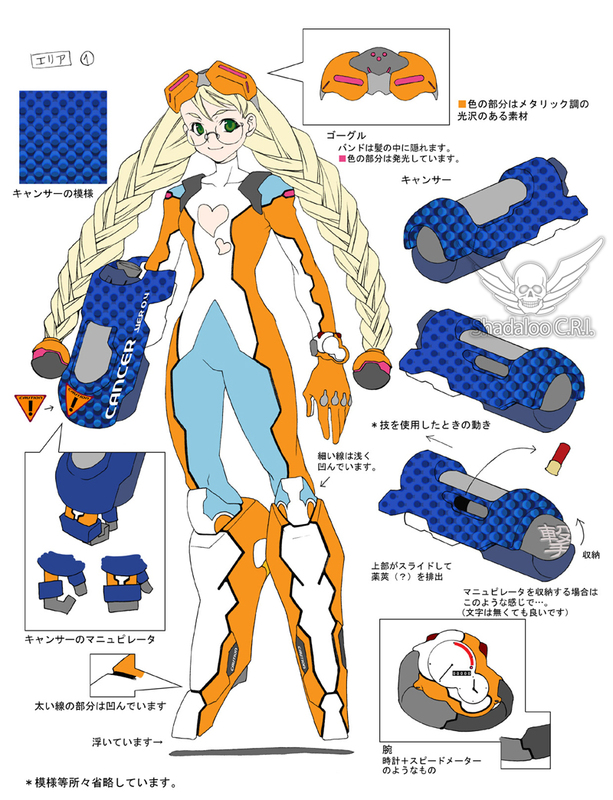 As a design, she's halfway interesting but also a bit forgettable. 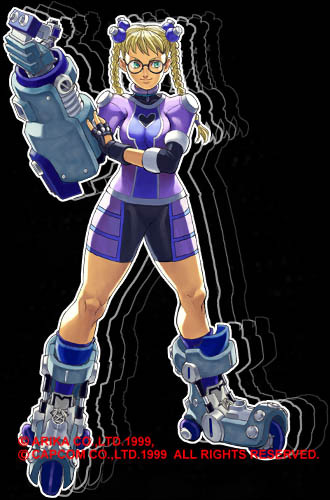 While she's very under-developed and was never pushed as a design by Capcom, her robotic arm (and how she uses it in gameplay) is pretty cool. 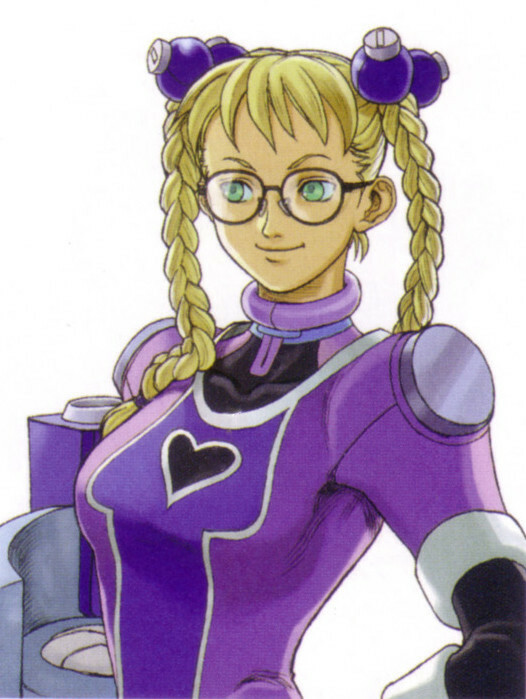 I can also respect a fighting game female design that isn't sexualized.